Travelling to Lonavala and looking for a luxurious stay? 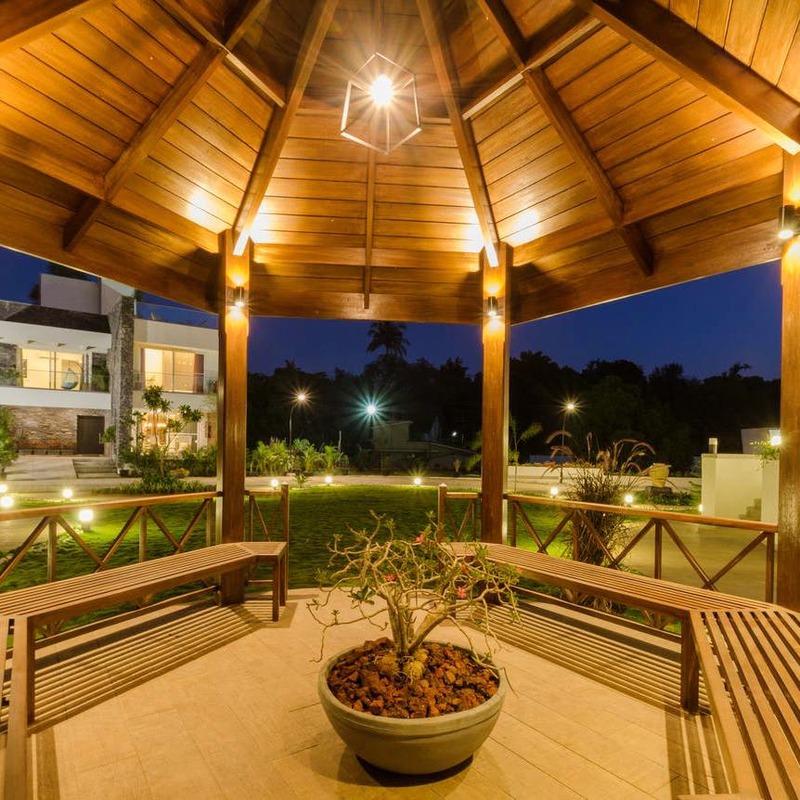 Check into Bianco, an elegant villa by Vista rooms that is located at a distance of 1.5 Km from Lonavala station and is in the vicinity of Fariyas Resort. With a huge courtyard, hot-tub, fitness centre and all luxurious amenities, we are sure your stay here will be staycation goals. When you enter the villa, you notice the beautiful, vibrant decor of the place. Cosy sofas, bright lights and a beautiful lush courtyard with a cute gazebo give this place an elegant look. We loved the huge private garden where you can chill and relieve yourself of all stress. You can also relax in the property's Jacuzzi. The property is located in such a prime area that we suggest you make the most of it. All prominent attractions like Lion's point, Bushi dam, the main market, Kune falls and Tiger's point are situated in the vicinity of 4 Km. Are you a fan of amusement parks? Adlabs Imagica & Wet n Joy, both are under 15 Km from the property. What are you waiting for? Hop into your cars and drive down. If you are in a mood to cook, they have a fully-equipped kitchen with all amenities. A chef and BBQ can also be arranged if you are willing to shell out some extra bucks. We feel this place is ideal to spend quiet and quality time with your family. There are many board games, puzzles, and family entertainment options available. You can also watch movies together and do yoga in the fitness centre. This may not be an ideal place to stay if you are planning to host a party as loud music post 10 PM. Also, consumption of non-veg food is prohibited on the property. Embark on a gastronomical journey and explore all the nearby eateries which include the super-popular buvachi misal, German bakery, Ram Krishna, Hotel Ritz and many more. Also, we hear they are pretty stringent about the cancellation policy. We suggest you book this villa only if you are sure about your visit here. Read the cancellation policies very carefully as they bookings are non-refundable in many circumstances.